Beyond the main square, you have to venture down into the medieval quarter to discover the Saint-Pierre church in Bacqueville-en-Caux dating from the 15th - 16th and 17th centuries. Walking through this quarter and its small streets you will notice that this building was really the central square of the village at the time. An impressive building overlooking the Vienne, you can admire inside ( barring unforeseen circumstances) a magnificent wooden vault and a stained glass window telling the story of William IV Martel, Lord of Bacqueville-en-Caux in the 13th century and the legend of Saint Leonard. 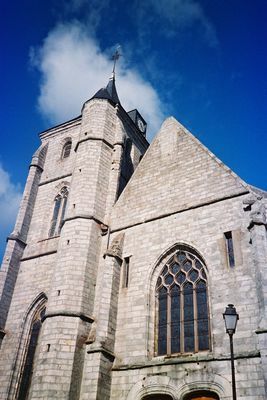 There is no review about Eglise Saint-Pierre, be the first to leave one !